The Level 5 Diploma in Operations and Departmental Managers will provide learners with the skills and knowledge to be able to fill a workplace role competently. An operations or departmental manager is someone who manages teams and projects and achieves operational or departmental goals and objectives as part of the delivery of the organisation’s strategy. They are accountable to a more senior manager or business owner. Key responsibilities may include creating and delivering operational plans, managing projects, leading and managing teams, managing change, financial and resource management, talent management, coaching and mentoring. Unlimited tutor support – You will receive live personal tutor support throughout the duration of your course. Your highly-qualified tutor will be available from Monday to Friday, 9am – 5pm via email and telephone. Rapid marking response – Submissions of work are marked within 3 working days to ensure that you progress through your course as efficiently as possible. No deadlines – We do not impose any deadlines on our courses; you can complete the qualification entirely at your own pace throughout the duration of the course. Accredited certification – You will receive your accredited certificate and unit transcript free of charge from our approved awarding body at no extra cost! Observations – You will also have access to one of our observers who can come out to your location at no extra cost. This means that the practical aspects of your course can be completed, and you don’t have to worry about additional payments! Upon completion of the course learners will receive their accredited certification. 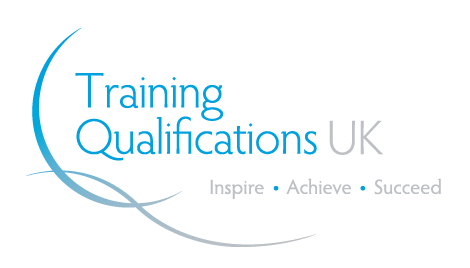 We are an approved Training Qualifications UK Centre, meaning that we can offer approved qualifications through this OFQUAL-regulated, fully-accredited awarding body. With over 400 Centres worldwide, TQUK provide qualifications that meet the needs of learners, working with us to attain the very best results. This qualification is ideal for learners already within a management role who manage teams and projects, and achieve operational or departmental goals and objectives, as part of the delivery of the organisation’s strategy.This qualification is also suitable for learners who have the opportunity to demonstrate recognisable management and leadership skills to a senior manager or business owner. This qualification is idea for learners within a management role who's responsibilities include managing teams and projects, and achieving operational or departmental goals and objectives, as part of the delivery of the organisation’s strategy.